Hold your speculation horses, everyone. There are a lot of teams hoping to land Bryce Harper in free agency, as everyone should be he’s a star and only 26 years old, but only a few who have a legitimate shot at getting him to sign. Harper’s agent Scott Boras says their camp will be listening to every offer no matter the team, but we all know there are favorites. 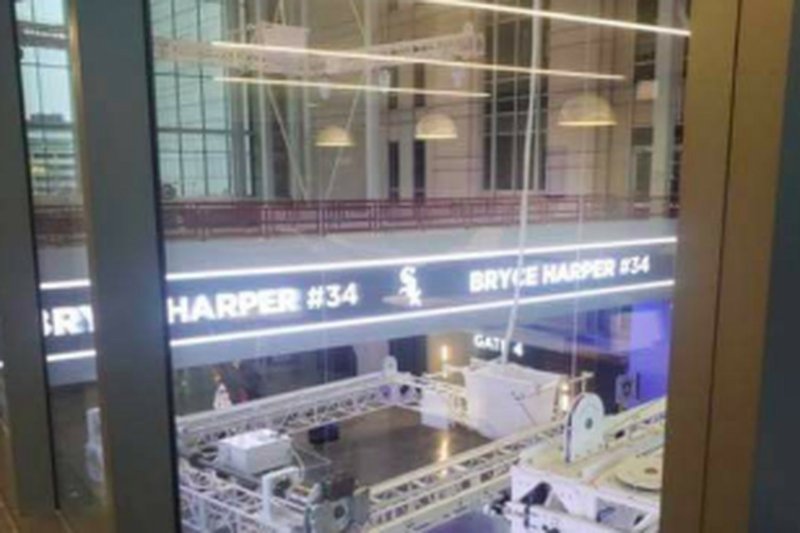 On Thursday, Harper’s name and number appeared alongside the White Sox logo on the screens at the United Center — home of the Chicago Bulls, owned by Jerry Reinsdorf who also owns the White Sox. The original picture has since been deleted but some Twitter users nabbed it, and it kicked off intense speculation that Harper would be signing on the South Side this winter. That speculation was further fueled when people noticed Sox pitcher Michael Kopech’s recent Instagram post about what the number “34” means to him. That’s Harper’s number. A sign that Harper is definitely going to be in a White Sox uniform next year? Probably not. It’s still far too early for Harper to have made his final decision, as if he and Boras are smart they’ll wait until the Winter Meetings at the beginning of December to be able to easily negotiate details — and possible make a final choice — in person with front office decision makers. But what these two pictures probably do mean is that he’s meeting with the White Sox in person now and they put together quite the pitch for him. Whether that involves him going to the United Center himself to see his name in lights (since being outside at Guaranteed Rate Field would be kind of cold right now) or the team is simply putting together a hype video to send him in the hopes that it will sell him on Chicago’s American League team, they’re making a move. If they’re putting a pitch together, that means they probably asked Kopech if he would hypothetically give up his number (Kopech is under team control through 2025) so that if Harper asks, they could give him an answer about the number’s availability right away. None of this means anything for sure, and if a deal was close we would know. But the White Sox aren’t slacking off here, so other teams should probably step up their sales pitches while they still can. How much longer can Tom Brady keep being Tom Brady?